Get ready for a star-studded ABC Family Friday when Sorcerer Radio welcomes Alfonso Ribeiro, host of ABC Family’s new series "Spell-Mageddon" and Cierra Ramirez of "The Fosters" to guest on the WDW Tiki Room show this Friday. Host Aljon Go will have the latest news regarding Marvel at San Diego Comic-Con, Star Wars Celebration Europe and Disney's D23 Expo! He will also have some special news regarding a D23/Sorcerer Radio Network fan meet you won't want to miss! Sorcerer Radio correspondent Steven Sanders will be chatting with ABC Family stars Alfonso Ribeiro and Cierra Ramirez as well! 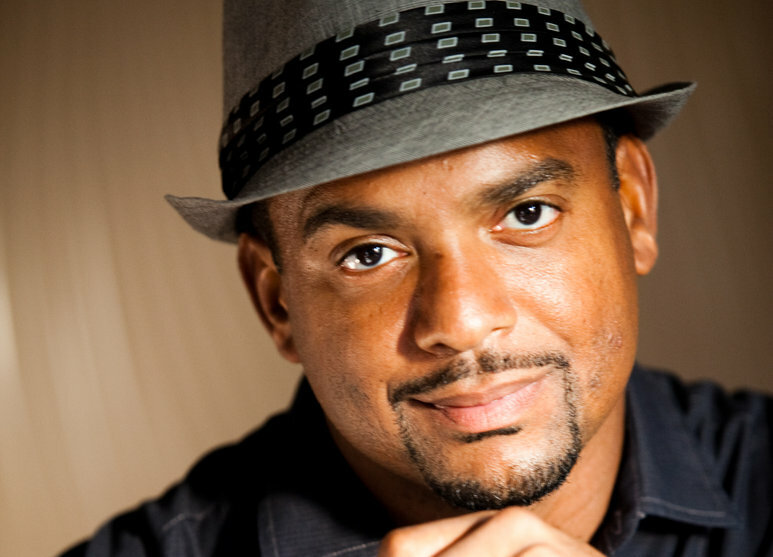 Alfonso Ribeiro has been named host of ABC Family’s new series Spell-Mageddon. The one hour game show puts a fresh spin on the spelling bee, where contestants take on hilarious distractions while spelling increasingly challenging words. Production begins on Monday, June 17th, in Studio City. The show will join ABC Family’s Wednesday night comedy line-up on Wednesday July 24th at 9/8c following Melissa and Joey and Baby Daddy. Ribeiro, best known for his role as Carlton Banks on The Fresh Prince of Bel-Air, is a writer, actor, director and host, and was recently seen on The Graham Norton Show reuniting with Will Smith and DJ Jazzy Jeff for the first time on stage in over a decade. Spell-Mageddon is created and Executive Produced by Adam Reed, Adam Freeman and Leslie Greif of Thinkfactory Media. Additional Executive Producers are Jeff Krask and Michael Canter. Follow Alfonso Ribeiro on Twitter at @alfonso_ribeiro. Actress Cierra Ramirez plays Mariana Foster on the new ABC Family show "The Fosters." Most recently, Cierra Ramirez played ‘Kathy’ on ABC Family’s The Secret Life of an American Teenager. Ramirez also played the lead role of ‘Ansiedad’ in the coming-of-age drama Girl in Progress opposite Eva Mendes as her mother, a performance for which she received an Alma and an Imagen award. Ramirez is best remembered for her recurring role of ‘Jasmine’ on The Disney Channel’s The Sweet Life of Zack and Cody. She has appeared on the television series Desperate Housewives, Zoey 101 and CSI: Miami. In "The Fosters" Ramirez plays Mariana, a smart-as-a-whip straight A student who was adopted by Stef and Lena, along with her fraternal twin, Jesus. Mariana has been keeping secrets from Jesus and her adoptive family that could land her in serious trouble. Besides a burgeoning acting career, Ramirez has been an accomplished singer since the age of seven. At ten, she appeared as herself on the series Showtime at the Apollo and has shared the stage as an opening act for the likes of “Earth Wind and Fire,” “Chicago” and American Idol’s Ruben Studdard, Kimberly Coldwell and Ace Young. Ramirez was born and raised in Houston, Texas. She now resides in Los Angeles, California. Follow Cierra Ramirez on Twitter at @cierraramirez. You've seen his work at the Art of Disney and D-Street Stores and now YOU will be able to win a very special limited edition Star Wars print! 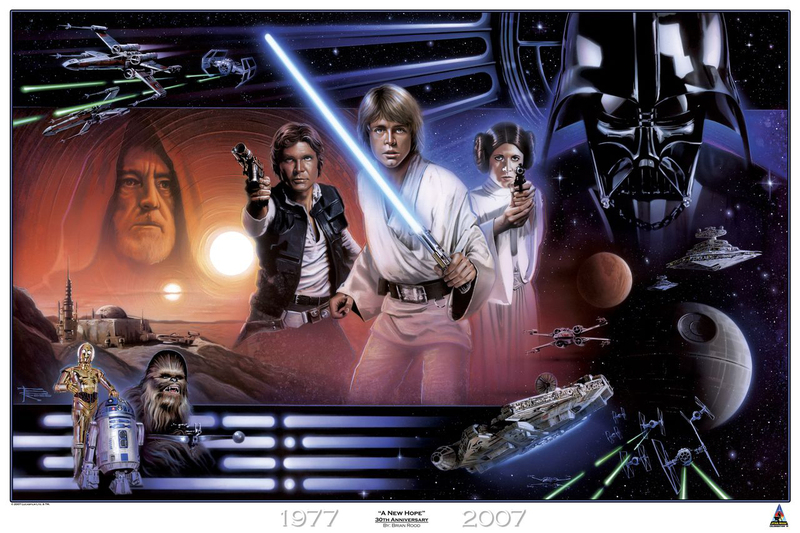 Brian will be debuting a new Star Wars piece of art called "Homecoming" featuring an unmasked adult Boba Fett at Star Wars Celebration Europe II and now you can get your hands on his beautiful art! Be sure you check out Facebook.com/WDWTikiRoom for details on how you can win the art prize! Disney fans can hear the interview take place Friday, July 19 2013 at 8 a.m./e with an encore airing at 7 p.m./e by visiting SRSounds.com and clicking the "Listen to Sorcerer Radio" button. Listeners can also tune in using free apps for iOS and Android devices. The show will also be available for download soon on a newly redesigned WDWTikiRoom.com. Tune into WDW Tiki Room - The Show About All Things Disney (8 am/7pm eastern) on Sorcerer Radio! Podcast version coming soon to WDWTikiRoom.com! WDW Tiki Room, the show about all things Disney, is hosted by the husband and wife team of Aljon Go and Kristen Hoetzel and author Natalie Henley. Every week they discuss Disney in pop-culture, theme parks, Disney news, have celebrity interviews, cover Disney fan events and play the best mix of Disney artists and Disney attraction audio. The show airs Fridays 8:00am/eastern and 7:00pm/eastern on Sorcerer Radio - www.SRSounds.com. For more information on Kristen and Aljon as well as on-demand playback of archived shows please visit this LINK. Follow team WDW Tiki Room! If you are looking to virtually relive your recent Disney trip or dream of your next one, then Sorcerer Radio is the place for you. Sorcerer Radio is a fan-run, award-winning internet radio station that has been entertaining Disney fans for a decade! With many weeks worth of Walt Disney World park music and attraction audio, as well as Disneyland and Disney Cruise Line you can easily be transported to your favorite vacation destination anytime, while at home or at work. Sorcerer Radio stands out from the pack in our innovative programming and personalities, providing fans with DJ hosted shows every weekday morning providing a balance of Disney discussion and music. Sorcerer Radio plays a wide variety audio from the Disney universe. We also have FREE APPS for your iPhone, iPad and Droid so you can listen just about anywhere! Check out the award winning Editor's Pick on Live365, Sorcerer Radio at SRsounds.com, All Disney music, all day long!